We are changing our seed packaging! We are happy to announce that PlantGenesis is changing how seeds are packed. We are responding to customer demand for our product packaging to be environmentally friendly and kept to a minimum. 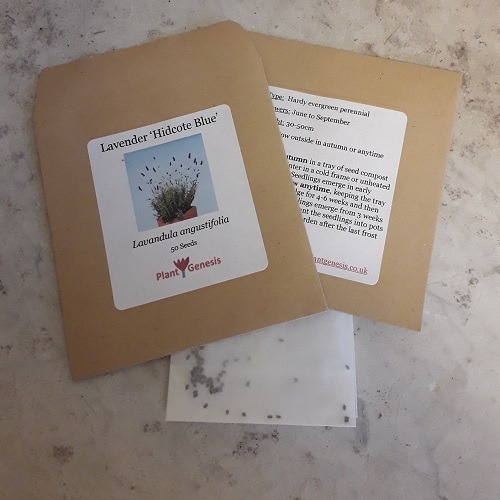 Our new seed packets are made from brown and unbleached recycled paper. This helps keep the seeds in good condition on their way to our customers. Once used, the packets can be added to the garden compost bin or recycled with normal paper recycling boxes or bags. We have packed our seeds in heat sealed foil laminate pouches for over five years and feel that now is the time to make the switch. Thanks to Plastic Free Roseland for involving us in beach cleans here in The Roseland in Cornwall, which was a real eye-opener, and in encouraging us to make the changes. We are gradually moving over to new packaging during early 2019 and aim to complete the switch-over well before the end of the year. We are also looking at other ways to reduce our use of plastic. We have switched to wooden plant labels, are re-using plastic growing pots, and are looking at the potential for introducing fibre pots for growing plants. We will be at the Grampound Produce Market this month for the first time with plants, seeds and bulbs. Saturday 27th October 10am - 1pm. PlantGenesis is launching a range of plants for sale from spring 2019. As we approach spring more plants will be loaded on our website and become available for buying online. All our plants are grown in Cornwall using as few chemicals and artificial fertilizers as possible. Plants will include many grown from our own seed catalogue, with a particular focus on plants for Mediterranean and coastal gardens. Plus some Mediterranean and Cape Flora plants that do well as houseplants. We also have others that we like or get asked for! Let us know if you are looking for something in particular or would like some advice. We take plants, seeds and bulbs to the Veryan Country Market, at the Veryan Parish Hall in Veryan, Cornwall TR2 5QA from 10-30am to 12.30pm. 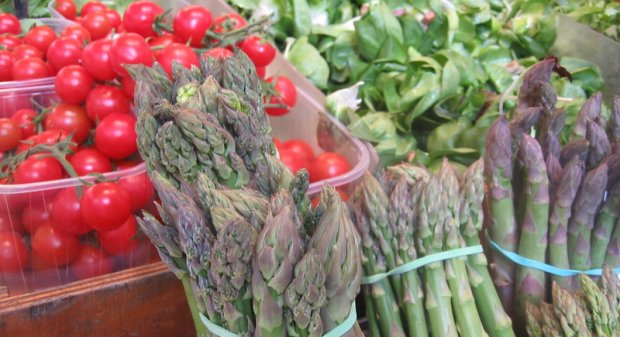 The market is held on the first Saturday of each month, except January and February. Come and see us at the Veryan Country Market this Saturday 6th October 10.30am to 12.30pm at the Veryan Parish Hall, TR2 5QH. Free parking. Spring Flowering Bulbs – Sparaxis, white and orange Star of Bethlehem, Arum Lily rhizomes and others. 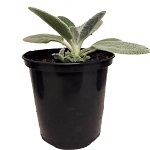 Houseplants – such as Tradescantia, with lovely glossy green leaves. Garden plants, including Aubrieta, which flower better when planted in autumn. Seeds - for sowing in autumn and spring, with a range of Sweet Peas, which do particularly well sown as the weather cools down. See you there – other stalls include some of the best pasties in Cornwall, local honey, fresh baked breads, savoury treats, and local arts and crafts. And refreshments. We have a range of our flower and vegetable seeds for sale. Come and find us the Cornwall Garden Society Spring Flower Show 2017. 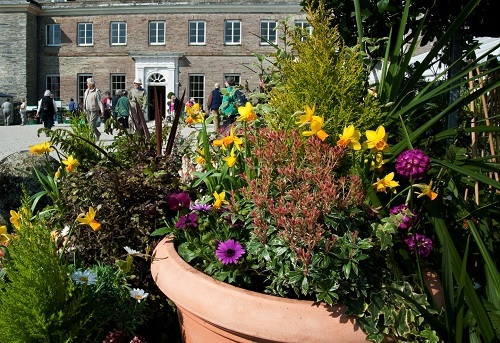 Held in the grounds of the Boconnoc Estate near Lostwithiel, on the 1st and 2nd of April. We are in the Long Marquee.